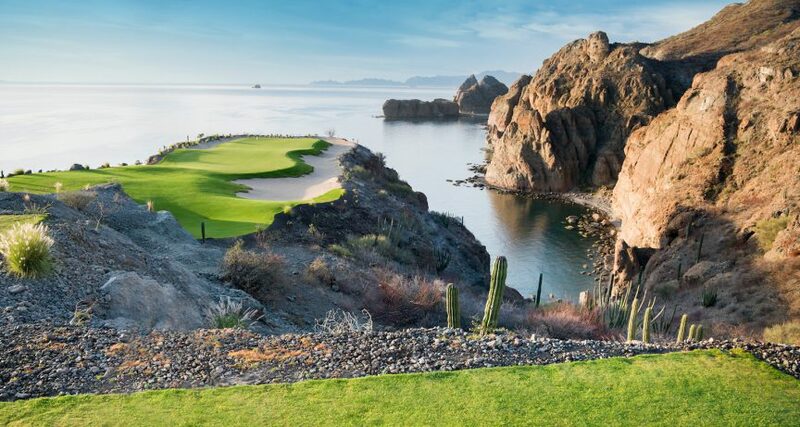 Villa del Palmar Beach Resort & Spa at The Islands of Loreto, home of the highly-regarded TPC Danzante Bay, has received a 2019 Golf DigestEditors’ Choice Award as one of the Best Resorts in Mexico And Central America. Inclusion on Golf Digest’s list of The Best Things in Golf adds to the accolades for the property and its Rees Jones-designed TPC Danzante Bay. The resort was also recognized with a Golf Digest Editors’ Choice Award for Best in Travel 2018. The centerpiece of this premier golf destination is TPC Danzante Bay, part of a luxury master-planned community adjacent to the coastline of Baja’s inland marine sanctuary. The golf course offers five sets of tees, ranging between 4,916 and 7,237 yards. It features wide fairways and greens that must be carefully judged but are never unfair. Most of the entrances to the greens are open—allowing approach shots to run on safely—while the holes along the cliffs feature strategically placed collection areas to keep errant shots from taking the plunge into the blue water below. The golf course has previously been recognized by Golf Advisor as Best of 2018: Mexico, by Golf Aficionado as 2018 Best New Golf Course and by Golf Odyssey as 2018 New Course of the Year.